Firefox for Android has been updated to version 9.0 which brings a number of improvements to the browser, not least of which is a redesign for Honeycomb Android tablets. The increased speed of updates with Firefox has led to some less than impressive version jumps on the desktop version, but this update for mobile looks like it's worth the version number jump. As always, Firefox for Android has been working hard to make startup faster, so that's the first on the list of improvements in this update. Another really cool feature is that websites will now be able to access your mobile device's camera, which could lead to some pretty interesting options. But, the big change this time around is a redesign for Honeycomb tablets. The browser has been completely redesigned for tablets, but you'll still see familiar things like the tab previews on the left edge. 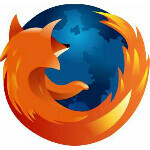 If you want to give it a shot, Firefox is available for free in the Android Market. Ahhh... the irony... Just installed and entered this same article. Can´t watch the video on Firefox. Flawless in stock browser. Flash or GTFO. As someone who fondly remembers Netscape 2.0, I was all in with Firefox until recently. At least it was a huge improvement over Exploder 6-8.0. But I was always annoyed that I had to go through the download manager to open anything. I started using Chrome earlier this year and now it's my default. It boots up and runs so much faster. Here's the thing that I don't get. Where is chrome for android? I thought that would have made a nice addition to ICS. I stopped using firefox years ago, and only use chrome now. Why don't they just make the default android browser more like chrome, at least be able to sync your bookmarks and stuff like that. I actually head a rumor that google was working on a chrome for android a while back, but have not heard of anything sense. I wish I could port the windows version of chrome to android for tablet use, you really wouldn't have to change that much layout wise IMO. I hope they get something like that soon.